This week I have made you another activity worksheet called Shapes Go to School Activity Worksheet Squares. 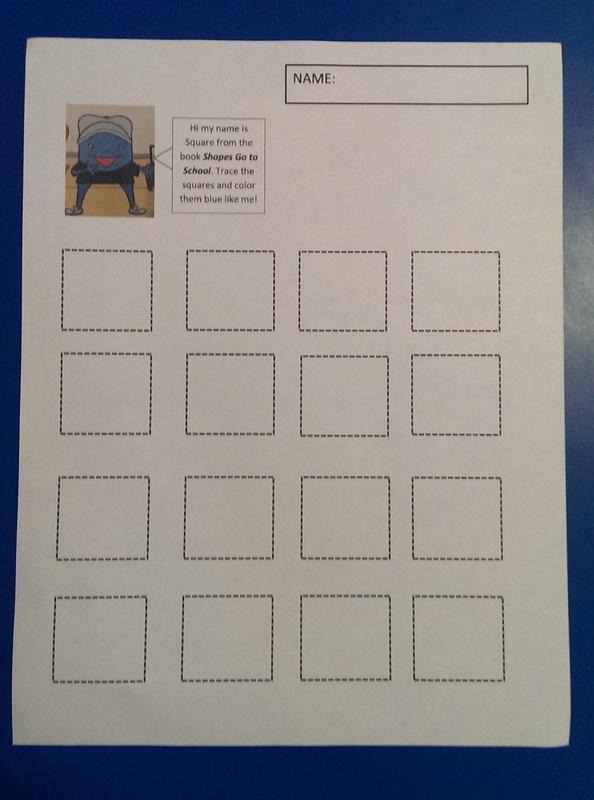 This worksheet will let your children trace the squares and then color them blue. Remember you have to hold the control button and then click on the link below. It will then pop up a tab at the top of your browser. Click on the tab at the top of your browser to see and print the new activity worksheet. As always be blessed and have a great week! This entry was posted in Uncategorized and tagged activity, blue, child care, children, children's books, education, free, in home child care, pre-k, preschool, shapes, Shapes Go to School, squares, worksheet on February 24, 2014 by terriborman.